Fifteen-passenger vans are frequently used to transport commuters such as college athletic teams, church groups and employees for company outings. 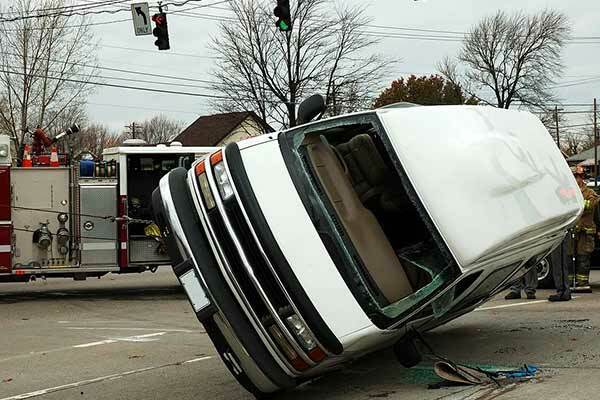 Recent years have seen an increased use of such vans as well as an increase in rollover accidents and injury claims. Fifteen-passenger vans are intended to hold fourteen passengers and a driver. These vans have a higher center of gravity than most vehicles, thereby increasing the tendency for the van to rollover, especially when loaded to full capacity. The National Highway Traffic Safety Administration and the National Transportation Safety Board have issued reports warning the public that the risk of rollover is three times higher when the van is loaded with ten occupants, and almost six times more likely to rollover when the van is loaded with fifteen occupants. With approximately 500,000 fifteen-passenger vans currently being used in the United States, there are many potential victims of a rollover accident. Much litigation has developed around the multiple injuries fifteen-passenger van rollovers have caused, and settlements have individually reached millions. Federal law dictates that fifteen-passenger vans may not be purchased for the school-related transport of students in high school or younger. Additionally, many insurance companies for large vans have dropped coverage for fifteen-passenger vans due to their dangerous nature.